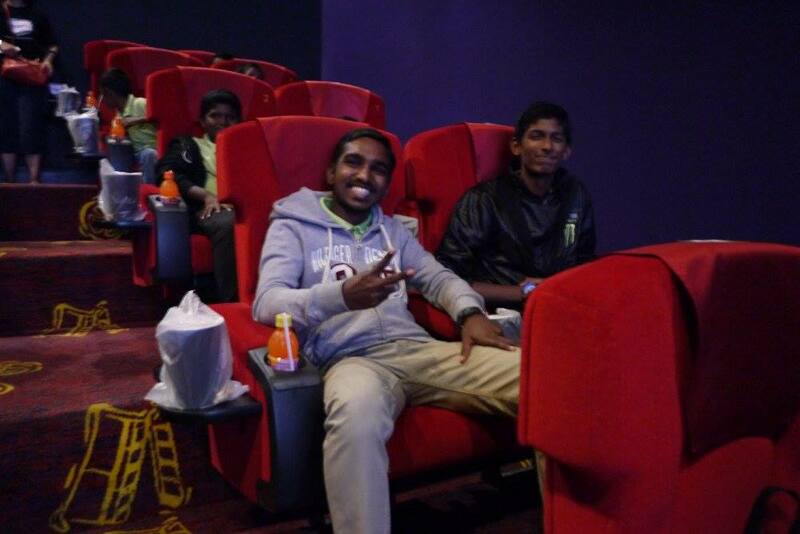 In conjunction with the Festival of Lights, HyppTV, TM’s award winning TV & Video Streaming service available on multiple platforms in Malaysia has treated 20 underprivileged children from Agathians Shelter to a special movie screening of 'Cars 3', accompanied by their caretakers at GSC The Gardens Mall last Thursday. 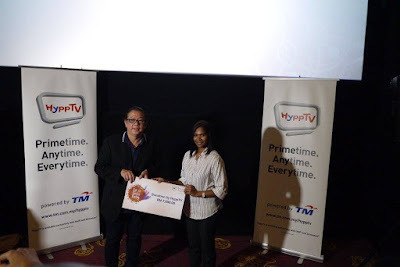 In fact, HyppTV’s has held a series of Deepavali community-oriented activities including this special movie screening and a donation drive campaign to raise funds and collection of household items for the shelter. We were honoured to witness this memorable moment with the underprivileged children at the event. Before the movie screening, Jeremy Kung, Executive Vice President, New Media handed over cash contributions and shopping vouchers worth RM7,000 to Miss Lotus, a volunteer education planner and representative of Agathians Shelter. Part of the contributions were gathered through a donation drive held recently at the lobby of Menara TM for Warga Keluarga TM as well as members of the public. “In addition to this, we wish to extend the spirit of giving to more Malaysians and our customers through our on-going ‘Tambah Lagi’ campaign. In the spirit of Deepavali, we will be giving a 15 days free viewing period of all the channels in Varnam Pack to showcase our wide content offerings, bringing only the best Indian content line-ups for continuous enjoyment during the festivities. Furthermore, you can enjoy these channels not only at the convenience of your living room, but also anywhere while on the move with HyppTV Everywhere mobile app,” he added. We knew that the kids from Agathians Shelter have truly enjoyed the special screening of “Cars 3” movie with popcorns and juices from their joyous faces. Good job to HyppTV. Agathians Shelter is a legally registered welfare home under the name Pertubuhan Kebajikan Agathians Malaysia, located at Petaling Jaya. The home houses 10 caretakers with 33 boys who are either orphans, abandoned or from broken families between the ages of 5 to 20 years old. With a mission to save the children from the streets, the institution aims to provide shelter, food, education, care, attention and love which are essential needs for children growing up. HyppTV Varnam Pack offers the most exciting Tamil and Hindi entertainment programmes with blockbuster movies, happening variety shows and more at a value for money offering price of RM30 per month. TM customers are enjoying HyppTV service either via their unifi or Streamyx services as well as on the HyppTV Everywhere mobile app as of now. Everyone can download the mobile app on Google Play Store and Apple App Store for free. The app features an easy in-app registration via mobile number or Facebook login. www.instagram.com/hypptv (Instagram) and www.youtube.com/tmyoutube (Youtube).